Some say the second time’s a charm. 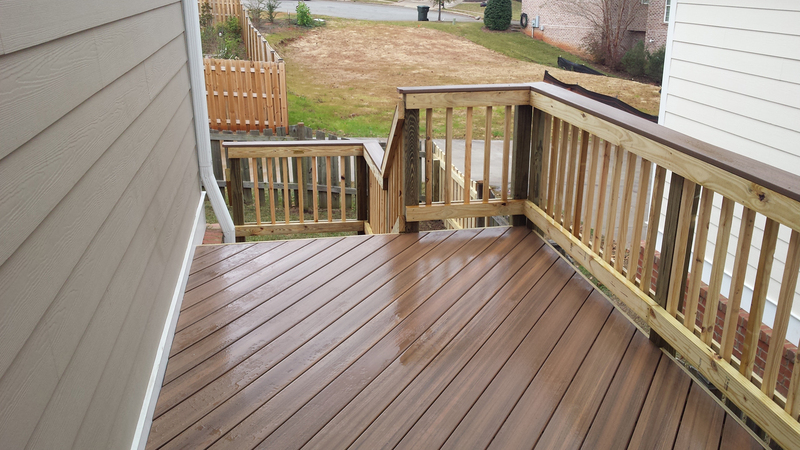 When these Macon GA homeowners called us, we realized they were not new to working with Archadeck. 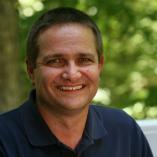 They had worked with another Archadeck office in NC adding a deck to their home in that area. 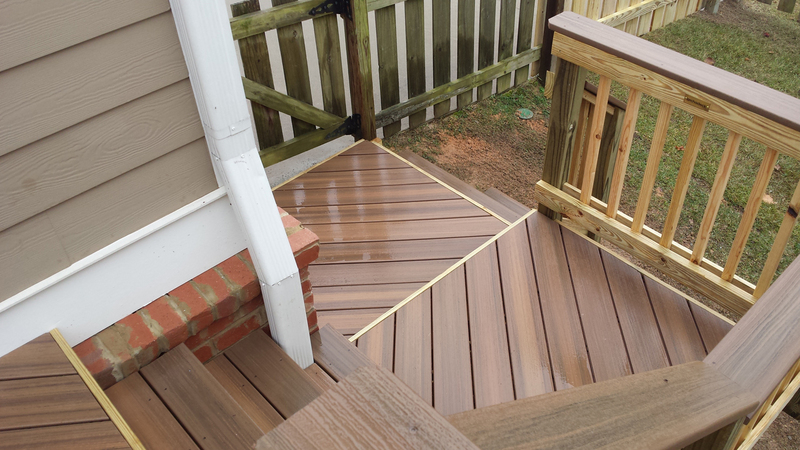 They enjoyed that process and the workmanship so they called us first when looking to add a small deck to their home in Macon’s Providence community. Their new home in Macon was a town home and there wasn’t much space to fit a deck coming off their porch. There were a couple additional challenges in addition to space. They had dogs that would use the deck to gain access to the backyard so the stairs, even though with little room, needed to be easy to get up and down for all the residents of the home. There was also one unforeseen challenge when we built this project last fall. Mother Nature decided to dump a tremendous amount of rain in our area. Normally rain does not slow down building very much. It’s always expected that a few rainy days will come and often we can just pick up construction immediately after a big rain. When it didn’t stop raining, we had to build through it. The family was anxious to have their new deck. With visions of US Postmen in our heads, we continued building until the deck was done. Taking a look at the deck, you’ll notice the beautiful color of the decking and the nice darker colored striation pattern in the boards. Per the family’s request, we selected low maintenance decking in Fiberon’s Paramount line. By the time we were done, their new low maintenance deck was done on time making all the family members happy.